When I was a small child (~3-5), I was obsessed with The Little Mermaid. It was my favorite movie–and the first I saw in the theater. For Halloween one year, a friend of my mother’s handmade a Little Mermaid costume for me. It was amazing. I wish I had it to show it to you. Easily the best costume of my life–and I’ve had some good ones. After the WalMart “Naughty Leopard” debacle, I got to thinking more about that costume and the costumes I have loved over the years, on myself and others. I went as a witch for years straight, but the last time I went trick-or-treating before I started taking my little sister, my friend Aimee and I went as alien babies. We wore pajamas, diapers on our heads with pipe cleaner antennas coming out of them and pigtails out the leg holes, and painted polka dots on our faces. It was bizarre, for sure. But it was creative and fun and we had fun. We weren’t trying to look cute. That wasn’t the point of Halloween. As an adult, my costumes have tended to revolve around iconic women. I’ve been Sylvia Plath, Janet Snakehole, and a Pawnee Goddess. I was also Dorothy from The Wizard of Oz and the Morton Salt Girl. This year I’m going to be either Amelia Erhart or, more likely, something else from Parks and Rec. Anyway, this post is about my favorite costumes for girls and info on how I made my Pawnee Goddess costume. At the end of the day, it’s most fun if kids get to pick what they dress as. These are just some ideas that I like. Plus, the “for girls” thing is an easy way to categorize this, but boys and girls can wear whatever. A girl racecar driver? Cool. A boy as a ballet dancer? Yes. Halloween is supposed to be fun and scary and I think, when given the chance, most kids will choose something more creative than the costume shops would lead you to believe. I have more ideas pinned on a board called Costume Inspiration. Bubble Bath: Parenting.com’s Bubble Bath costume is adorable, still girlie, and could easily be made at home with a pool ring and balloons. It’s even kind of reminiscent of Lady Gaga. Plus, unlike a lot of costumes, if you live in a region where it is cold on Halloween, you could trade out the dancewear for something warmer and not ruin the costume. 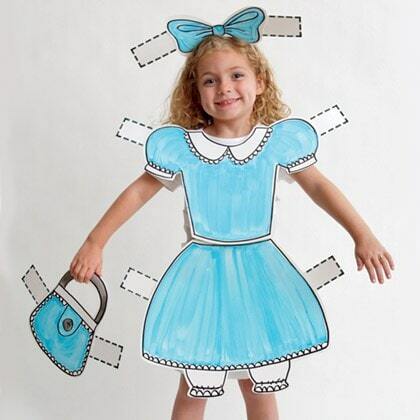 A Paper Doll: Use the templates and create an adorable paper doll costume cheap and easy at home. 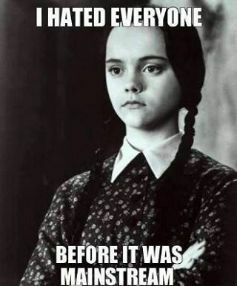 Wednesday Adams: Another easy one to make at home. black high-collar dress. Braids or a wig if she doesn’t have black hair. Use powder to pale-out the skin. Don’t you dare smile. A Doctor: A doctor is another costume you could make for cheaper if you’re crafty! Medusa: Make a toga out of a bed sheet and weave some rubber snakes into your girl’s braided hair-do. A Jellyfish: I love this one from Martha Stewart. Have your kid dress monochrome. Take one of those clear bubble umbrellas and attach tendrils made from long strands of bubble wrap. So cool and simple, and the umbrella could come in handy in the future. Wendy Davis: Have a young feminist on your hands? Dress her up as Wendy Davis! According to PopSugar, all you’ll need is a white striped blazer, black glasses, pink sneakers, and an “I stand with Wendy” button. Easy, topical, probably super cute on a kid. 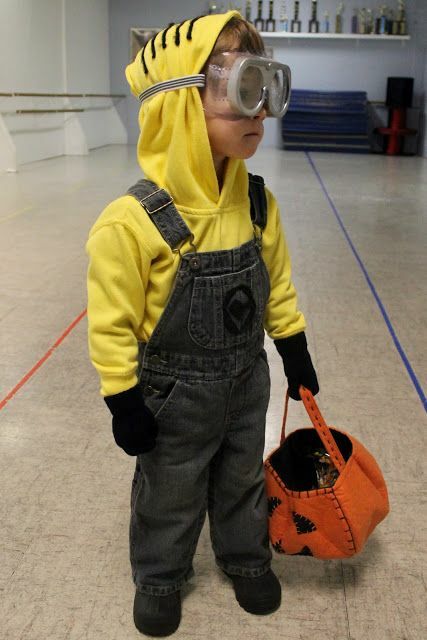 A Minion: The Minions are one of my favorite things and there are tons of ways to create a fun Minion costume. Most of them boil down to a yellow shirt, yellow hat, overalls, goggles, and black gloves. This is a perfect option to get creative with though. 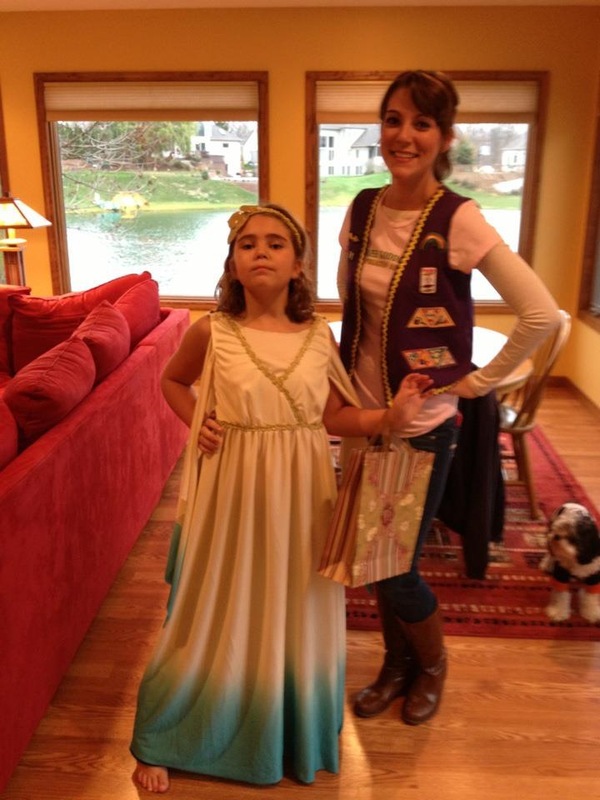 Last Halloween with my sister, who was an actual goddess–Athena, the goddess of wisdom. “Pawnee Rangers” is my favorite episode of Parks and Rec, my favorite show (well, it’s tied with “Women in Garbage.”). Last year, I was a Pawnee Goddess, wearing my Pawnee Goddesses shirt, which I got from the NBC Store and a vest that I made myself. Making the vest was time consuming, but not hard. The most time that went into it was that I bought vintage Girl Scout badges on Ebay (which I do recommend) and many of them were old enough that the iron on didn’t work so I sewed them by hand. If you or a girl you love wants to be a Pawnee Goddess (and who doesn’t? ), you will need a lavender t-shirt or a Goddesses t-shirt, a sewing pattern for a vest, about a yard of purple fabric, yellow ric-rac, pins, needles, and iron-on badges. I could write up my own tutorial, but a really good one already exists. Check out the Hands Occupied Pawnee Goddess Costume and this tutorial on how to make a Pawnee Goddess badge. I will note that while the tutorial does a really nice job, in the interest of time (because grad-school) I didn’t do the finished hems on my vest. It was a little messy but way less sewing since I did it all by hand. What are your favorite Halloween costumes? Check out my Costume Inspiration Board for more ideas too!